Book a Dubrovnik holiday package on Expedia today! This is one of the best ways to save time and cash for your incredible holiday. Savings of as much as 15%* are waiting for smart vacationers who book a package deal on Expedia. With more than 400 partner airlines and 321,000 properties to mix and match from on our comprehensive database, you won't have any problems creating your dream holiday. You never have to worry about altering your holiday plans, as we don't charge additional cancellation fees for almost all of our reservations. Itinerary looking a little thin? Dubrovnik holiday all arranged but no idea what to do when you arrive there? Let us guide you. You won't have to worry about being bored in this alluring city. Franciscan Monastery and Sponza Palace will keep you on the move. Church of St. Blaise and the Onofrio's Fountain are some more wonderful attractions that'll grab your attention. Imagine the secrets and stories hidden within Rector's Palace as you marvel at its beautiful facade. Adventurers in this destination have an abundance of choice. Exploring a local area's monuments is a fantastic way to get an insight into its heritage and achievements. Drop by Orlando's Column and learn the intriguing story behind it. Still got time on your hands? Grab some cheese, crackers and a bottle of wine and head on over to Copacabana Beach. It's one of the best spots in the surrounding area for a relaxing picnic. Everyone knows you don't go on a holiday to sit in a metal tube and go to bed in a different place. Holidays are all about the amazing adventures you have while you're there! Have some time up your sleeve? Head to our Dubrovnik things to do page for a full list of activities. End your day of exciting adventures with a cosy bed and a soft pillow. 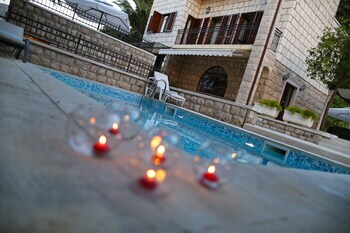 Study the 157 accommodations in Dubrovnik available via Expedia and select one for your luxury getaway or cheap holiday. If you're the sort of person who can't fall asleep unless they're between high thread count sheets, why not curl up in luxury at the Villa Orsula (Ul. 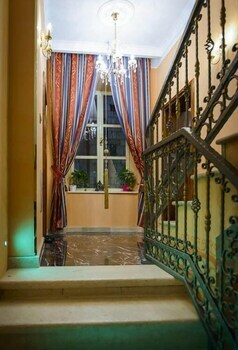 Frana Supila 14) or the Penthouse the Best Old Town View (Petra Kresimira IV 31A)? The City Place - Apartment (Kovacka 4) and the Hotel Adriatic (Masarykov put 5) have decent ratings if you're after something less expensive. Podgorica Airport (TGD) is the entry point for most people heading on a trip to Dubrovnik. It's based 60 miles (97 km) from the town centre. Located in Dubrovnik, this beachfront hotel is in the city centre, just steps away from Museum of Modern Art and Banje Beach. Sponza Palace and Rector's Palace are also within 15 minutes. 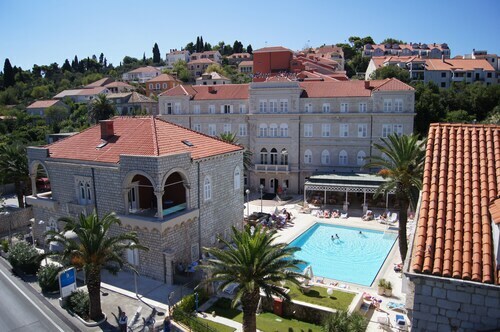 Nestled on the beach, this Babin Kuk hotel is within 1 mi (2 km) of University of Dubrovnik, Lapad Beach and Copacabana Beach. Dubrovnik Ferry Port and Gruz Harbor are also within 2 miles (3 km). 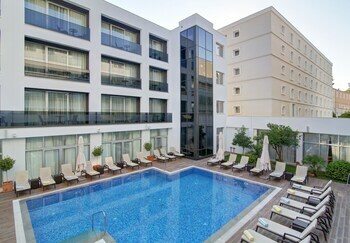 Nestled on the beach, this Dubrovnik hotel is within 3 mi (5 km) of Lapad Beach, Copacabana Beach and Dubrovnik Ferry Port. Gruz Harbor and Pile Gate are also within 3 miles (5 km). 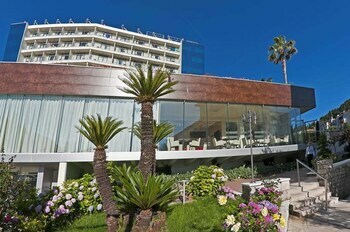 Situated on the waterfront, this romantic hotel is within 1 mile (2 km) of University of Dubrovnik, Lapad Beach and Copacabana Beach. Dubrovnik Ferry Port and Gruz Harbor are also within 2 miles (3 km). 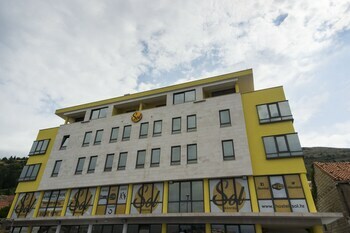 Located in Dubrovnik, this beachfront hotel is in the city centre and within 1 mi (2 km) of American College of Management and Technology, Pile Gate and Sponza Palace. Rector's Palace and Dubrovnik Cathedral are also within 1 mile (2 km). 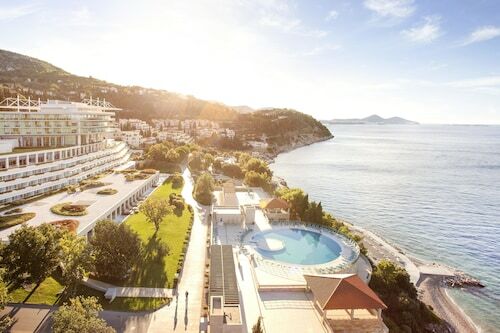 Nestled on the beach, this Babin Kuk hotel is within 1 mi (2 km) of University of Dubrovnik, Lapad Beach and Copacabana Beach. Dubrovnik Ferry Port and Gruz Harbor are also within 3 miles (5 km). 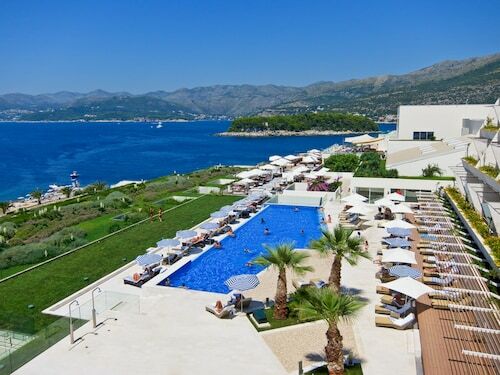 This Dubrovnik hotel is on the beach, 2.9 mi (4.6 km) from Trsteno Arboretum, and within 6 mi (10 km) of Trsteno Beach and Stikovica Beach. Dubrovnik Ferry Port and Gruz Harbor are also within 9 miles (15 km). 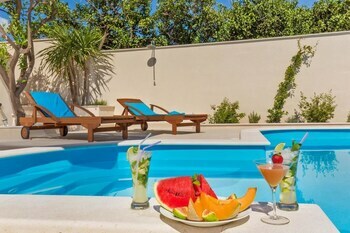 Nestled on the beach, this Dubrovnik hotel is within 1 mi (2 km) of Gruz Open Market, Pile Gate and Gruz Harbor. Lapad Beach and Banje Beach are also within 2 miles (3 km).